Instead of focusing on specific features or tools, define your vision and set KPIs based on value to the business. 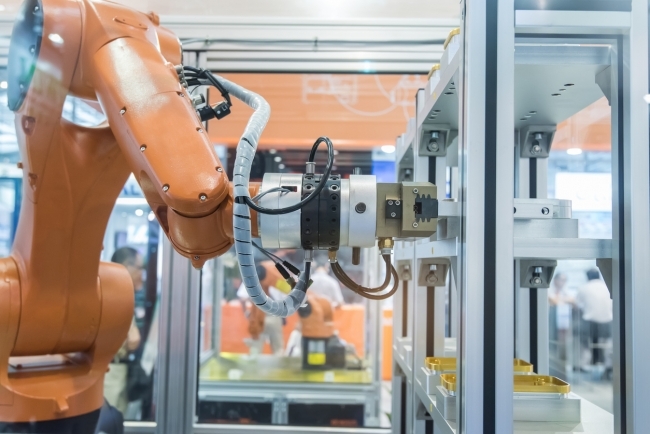 The end goal of Industry 4.0 is about creating value from your data and processes. Prioritise Industry 4.0 investments based on where you see the biggest gaps and greatest opportunities. The best enterprise technology innovations are those that are developed to solve existing customer and supplier challenges or provide your business with a competitive advantage to better serve them. Innovation in small pilots enables faster decision making and implementation. Fail to act quickly, and you fall behind; act too fast, and you risk messing up. Failure is a necessary part of the innovation process. But to make failure profitable, you not only need to fail fast, you need to fail smart. For most mid-sized manufacturers, that means dreaming big but starting small and then scaling up what works fast. That’s where the three I’s of innovation come in. Iterative, incremental innovation (‘incrovation’) in small pilots enables faster decision-making and implementation, as well as the ability to adapt or change course at any point. The goal is to learn quickly and apply those learnings to the next experiment and/or scale the solution. Industry 4.0 will likely create ripple effects across the value chain and require external process and technology changes. Even if total value chain integration is a faraway goal, you will still need to think about external interoperability and processes for collaboration. Sharing sensitive data to an external network is easier said than done. Doing so requires a fundamental shift in relationships between suppliers and customers, and raises new questions about data privacy and information security. 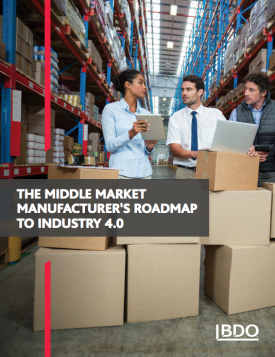 Collaborative planning with key customers and suppliers early on in your Industry 4.0 journey will help accelerate implementation and lay the groundwork for secure co-creation of value. And it will also tell your customers and suppliers that you are engaged in moving positively towards digital transformation. This will be an increasingly important requirement for multi-national OEMs. Too often, organisations embark on a digital initiative but forget about the human element. Even as processes become automated and AI might start to take over some data-driven decision-making, change still needs to start with people. You need your employees to understand why they need to leave the status quo behind, believe in the strategic vision and feel engaged in the process. Most importantly, they need to understand what’s expected of them and have the resources, training and development to get to the new destination. 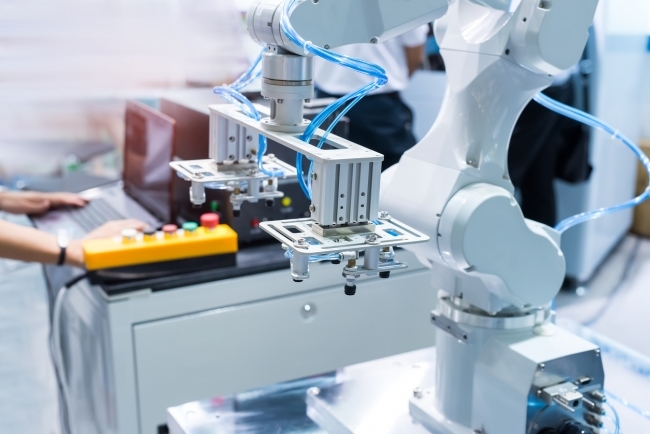 Training for the age of Industry 4.0 is going to be one of the key factors in the success of your company – and indeed UK manufacturing generally.